Today, March 14th is my birthday. Obviously this has been my birthday my whole life (that was the most obvious statement ever) but for some reason in the past several years people have started calling it Pi day. I do understand why, because 3.14, BUT where did this come from? I swear people didn't say it when I was growing up. It's this new thing that just started and frankly I'm not sure I like sharing my birthday with this so called "pi day". March 14th seems to be a very popular birthday date as it is, we don't need to share it with some stinkin pi day. 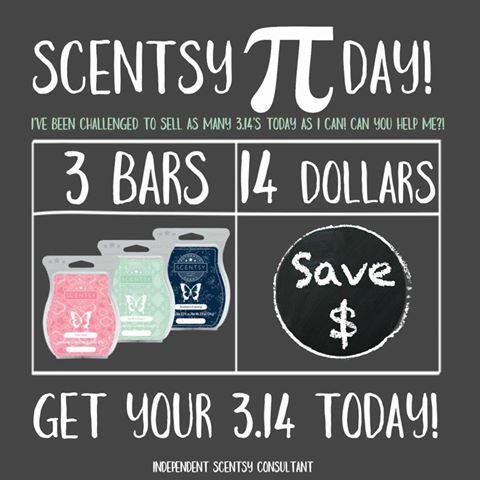 However, in celebration of Pi Day and my birthday I thought I would offer some fun Scentsy specials. First we have our usual deal of 3 bars for $14. Such a good deal, I tell everyone if they are going to order bars to either do our 3 for $14 or 6 for $25, it just makes the most financial sense! You can choose ANY scent and there are a lot of great new scents for the spring/summer season. I alway solve those new fresh/clean/summery scents! 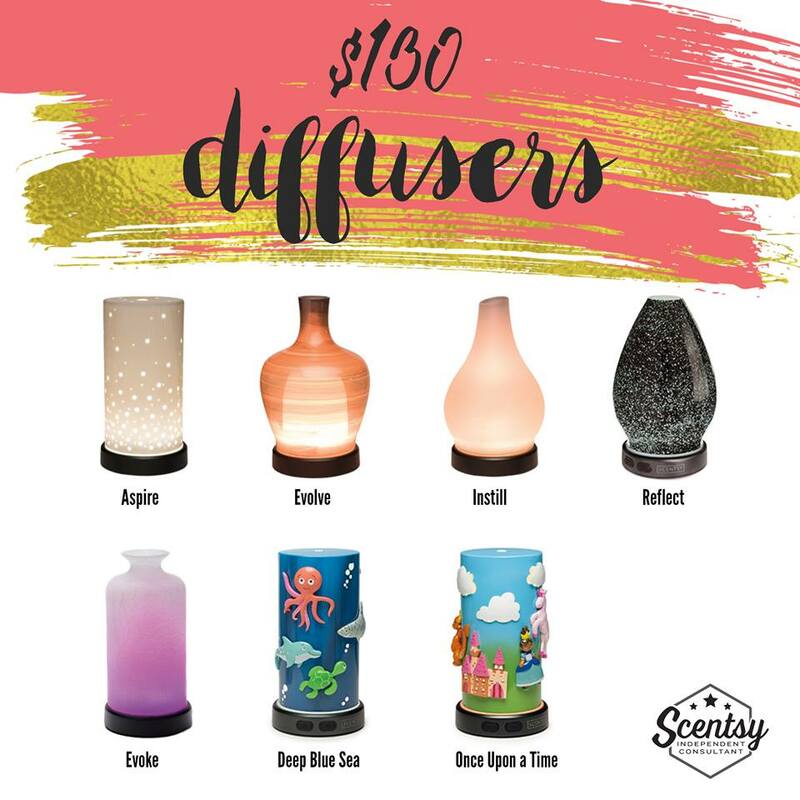 If you are new to Scentsy or if you haven't ordered in awhile you should go check out my website because we offer SO much more than just warmers and scents…. 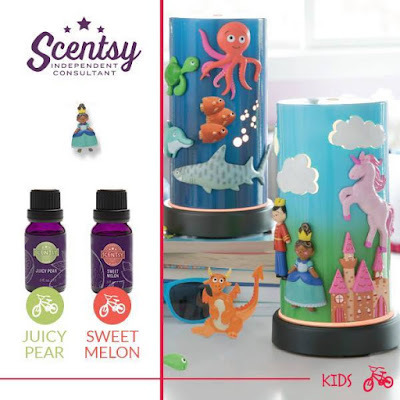 And so many gorgeous warmers and yummy scents! AND for just this month ONLY you can join for $49. 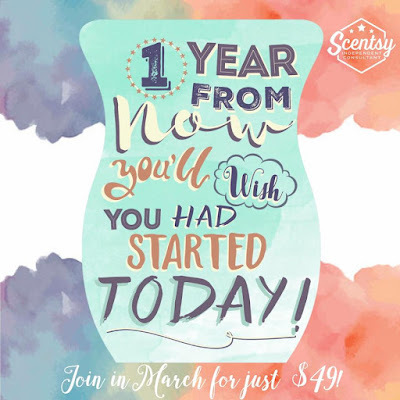 If you've ever considered joining Scentsy, or starting your own direct sales business or you just LOVE our products this is an amazing opportunity for you. Don't miss that last special, it's a good one! Happy pi day and happy birthday to me! Take advantage of my birthday month and get a free gift from me!